There are sadly, only so many hours in the day. Most of us build extensive lists of books we mean to read, but we just don't get to them all. Here are some of the books published in 2017 that I meant to read, but didn't get to...at least not yet! There's always 2018, right? 1. 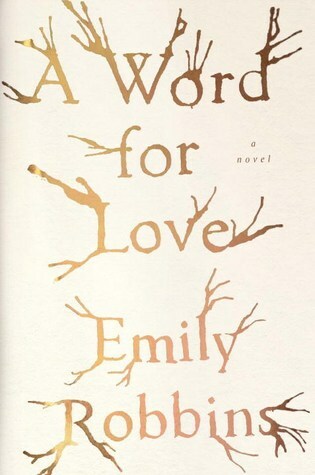 A Word for Love by Emily Robbins is a story of an exchange student who finds herself drawn into the lives of her host family instead of focusing on the ancient text she came to study. 2. Irresistible: The Rise of Addictive Technology by Adam Alter is nonfiction about our addiction to our phones and computers (and maybe our video games, but don't tell my 10-year-old). 3. The Hearts of Men by Nickolas Butler -- Butler succeeded in making me care for a musician, a farmer, a rich boy, and an injured football player in Shotgun Lovesongs. Can he make me interested in Boy Scouts in this book? 4. 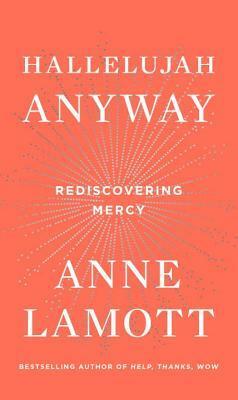 Hallelujah Anyway by Anne Lamott -- It's a new book by Anne Lamott. Need we say more? 5. When Dimple Met Rishi by Sandhya Menon was one of the hottest books of 2017. I need to get to this book about two Indian teens who meet at a computer camp and discover their parents intend for them to get married. 6. The Confusion of Languages by Siobhan Fallon is a novel about two women who are married to soldiers and live in Jordan. The description promises beautiful writing and plenty of secrets! 7. Girls Made of Snow and Glass by Melissa Bashardoust is apparently a re-imagining of Snow White and I think this just might fill the hole in my literary heart for fairy tales retellings. 8. Every Word Is A Bird We Teach To Sing by Daniel Tammet is a collection of essays about language; clearly it's meant for me. 9. 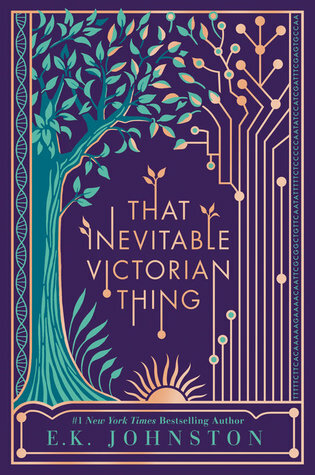 That Inevitable Victorian Thing by EK Johnston -- I loved Johnston's book about Ahsoka and her Thousand Nights books. I'm excited to read this one about an alternative future version of the British empire and its heir to the throne. 10. The Dark Dark by Samantha Hunt -- Hunt's Mr. Splitfoot was one of my favorite books of 2016, so I need to read her new collection of short stories as soon as possible. Which books from your 2017 list are still waiting patiently to be read? Nice list! I can definitely recommend The Dark Dark story collection. I think my biggest reading oversight from 2017 is probably Her Body And Other Parties, but hopefully I”ll get to it this year. I'm so glad to hear it. I loved Mr. Splitfoot so much and I would be very sad if The Dark Dark wasn't just as compelling. Hi! I do like Anne Lamott's books. I didn't know she had another one out! :) I hope we both get to it soon! Some new to me titles here - I'm intrigued by Girls Made of Snow and Glass. I hope you're able to get round to some of these titles this year.